Changes in memory performance are one of the hallmark symptoms of mild cognitive impairment and are affected by healthy aging as well. Pattern separation, which refers to the process of orthogonalizing overlapping inputs into distinct memory representations, may be a sensitive marker of these memory changes. 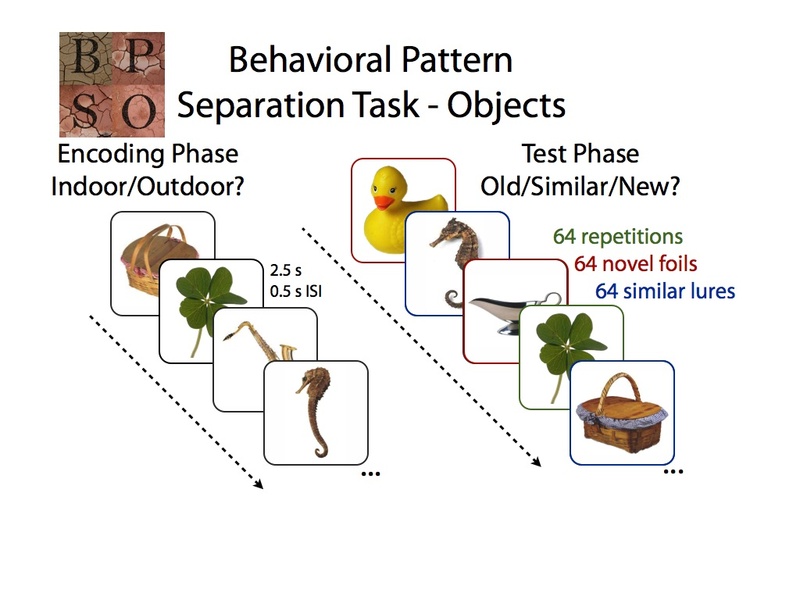 Here, we describe a paradigm, the Behavioral Pattern Separation Task – Object Version (BPS-O task), which reveals age-related changes in pattern separation performance. 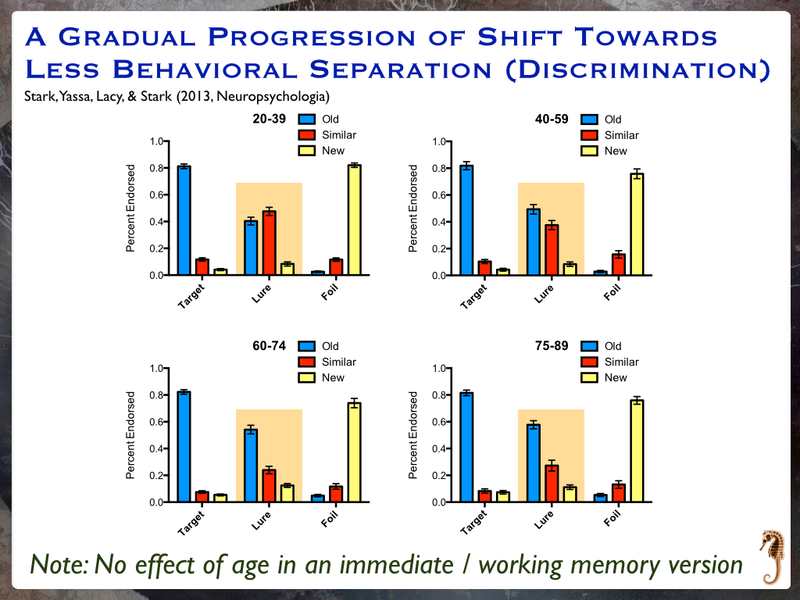 Specifically, we report an age-related decline in pattern separation in healthy adults, ranging from ages 20-89. When we classify those individuals ages 60 and older into two groups, Aged Unimpaired (AU) and Aged Impaired (AI) based on their delayed word recall performance, we observe impairments in pattern separation performance in the Impaired group, but no overall impairment in recognition performance. In contrast, those individuals diagnosed with mild cognitive impairment demonstrate worse performance than age-matched controls in both pattern separation and recognition memory performance. 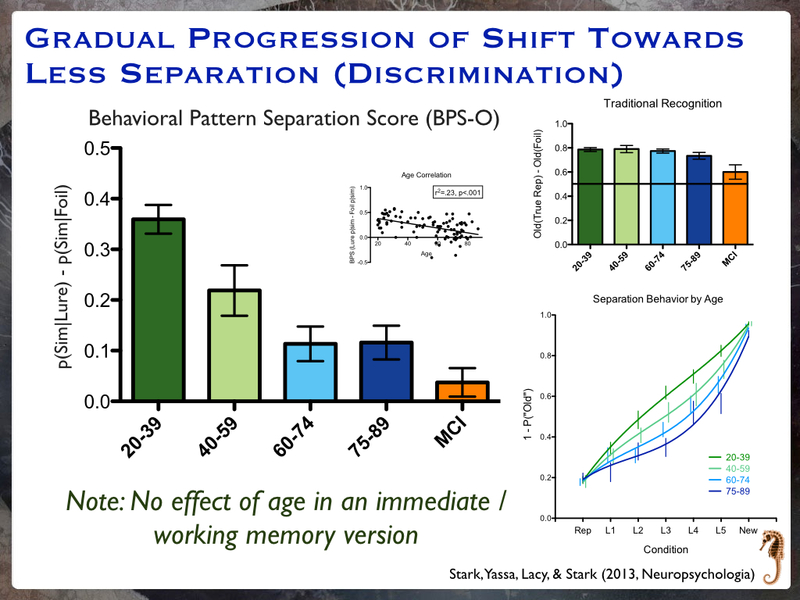 Therefore, the BPS-O task provides a sensitive measure for observing changes in memory performance across the lifespan and may be useful for the early detection of memory impairments that may provide an early signal of later development to mild cognitive impairment. This task is available for use by other researchers here.